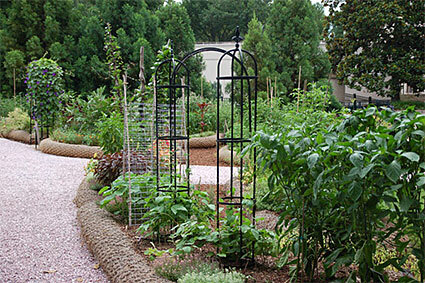 The Victory Garden is a re-created World War II-era garden and features "heirloom" vegetable and flower species available to gardeners through the 1940s. Throughout the war years, millions of victory gardens in all shapes and sizes—from window boxes to community plots—produced abundant food for the folks at home. The plantings in this re-created garden are rotated seasonally.